Arsenal boss Arsene Wenger is confident his side can make the Champions League last 16 the Gunners beat Dinamo Zagreb three nil on Tuesday night. The victory at Emirates Stadium, coupled with Bayern Munich’s 4-0 thrashing of Olympiakos, means a 2-0 victory or any win by scoring three goals will send Arsenal through to the knockout phase. 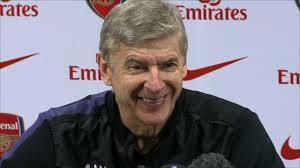 Wenger said: “We just need to win. Obviously I know 1-0 will not be enough but that will be a time where they can lose it and we can win it. “We know the task and for us this task has one big advantage – it is very clear what we have to do. It is vital we score the first goal. Arsenal’s chances have been revived after they looked slim following their 5-1 thrashing away to Bayern on a night when Olympiakos beat Dinamo Zagreb to strengthen their position.